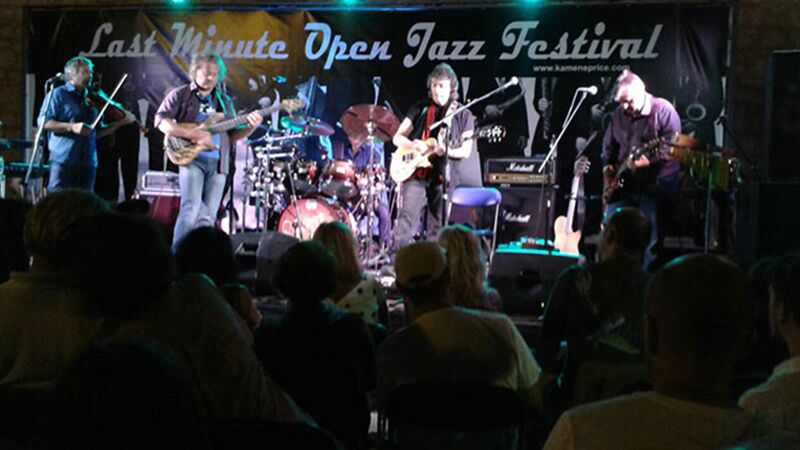 Last Minute - Open Jazz Festival in Bale main square. Istria again shows that it is not just food, wine and hospitality but also contains additional aspects – its cultural heritage. All over Istria little villages house many artists, poets, writers, thinkers and also many followers of cultural genres. We know, for example, of the success of the Pula Film Festival (62 years old this year) and the continuing Motovun Film Festival (since 1999) or Dance and Non-verbal theatre festival in Svetvincenat (since 1999) and their well-known and respected position in the international scene. But who would have thought, for example, that the little village of Bale (pop. : c. 1,000) or Valle (It. – the town is officially bilingual), on the western side of Istria just inland from Rovinj and a little north of Pula, would be able to support a four-day festival of jazz including international stars. I, for one, did not. However, it is true, and they have been doing it successfully for the last nine years. In beautiful surroundings both in the town (exquisitely restored and maintained) and the countryside around, the knowledgeable and ample crowd gathered in the main square dominated by the splendid ( and splendidly restored) Bembo Castle and in front of the stage, which itself is properly and very professionally managed, with the intention to be entertained by some exceptional jazz from newcomers to old stagers with a smattering of R&B and Soul and by performers from all parts of Europe and the rest of the world. The players came, of course, from Croatia but also from Argentina, from Austria, from Australia, from Chile, from Hungary, from Italy, from Serbia, from Slovenia, from Uruguay and from USA (Ty le Blanc) and from UK (Stephen Hackett – Genesis). And the audience was just as diverse but with some local householders settling outside their doorways to overlook the proceedings with expressions of happiness tempered by resignation. There’s no point in going to bed on any of these nights before the performances are over! In the gentling cooling evenings from the very hot days the performers wowed the audience with an eclectic program of wide ranging tastes in the jazz genre. And the main point is, it’s free. Sadly, I missed the first night but the following three nights were all full of individual and collective expositions of well written, well produced and well managed jazzy music. For most people it is a standing venue but if you arrive early enough you can “book” your seat with a sweater or your handbag if you dare. You can even treat yourself by reserving a table on the Bembo Castle balcony and watch the players from above whilst drinking the local pjenušac (champagne style) wine and a local platter of locally produced meats and cheese, all helped along by local olive oil. One has to wonder at just how this all can take place especially for free. None of this would happen with out the dedication of the patron of the pub/apartment/restaurant Kamene Priče, and his love of jazz music. Very well worth a visit – the village, the concert and the pub.